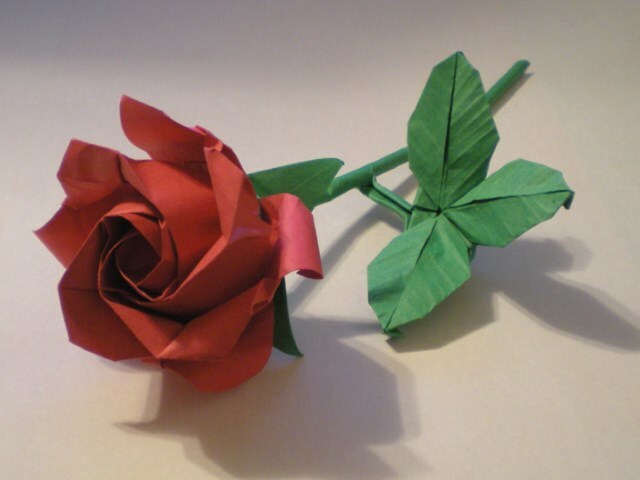 It is always a wonder how many different types of origami roses there are. I like this particular rose design by Phu Tran because it comes with a somewhat realistic stem and leaves. As with most origami flowers, the blossom is folded from a single square of paper. 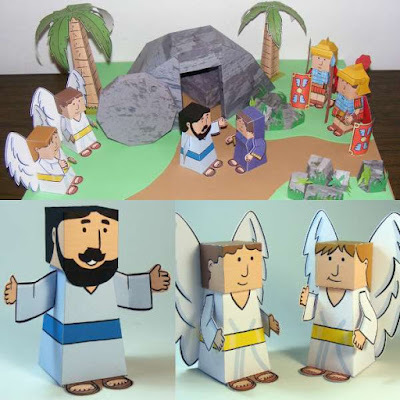 Detailed video instructions, plus a printable crease pattern are available here. 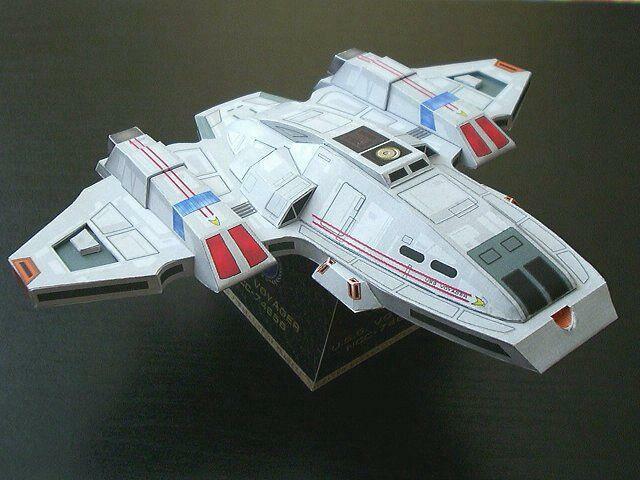 Build photo by DeviantART member, Cahoonas. 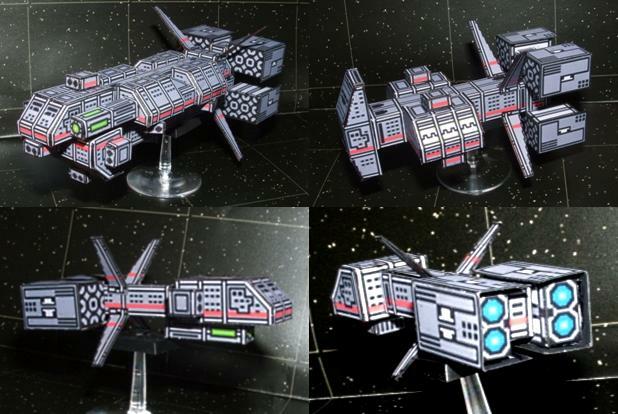 Another style of origami rose was previously posted here. 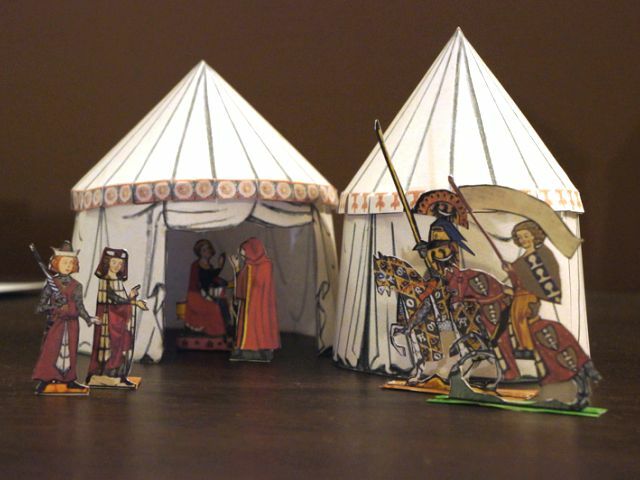 These papercraft tents were created by an architect, Krzysztof, who based his designs on images from actual medieval illuminated manuscripts. The knightly pavilions are just the right size for miniature gaming and are easy to build. 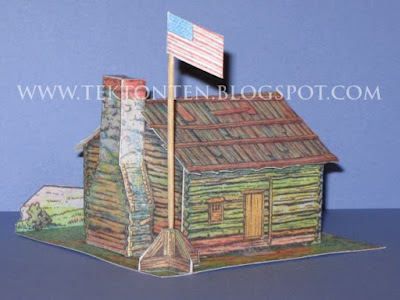 The template for the tents (as well as the 2D character cut-outs shown in the photo) may be found at Krzysztof's website, Mini Lab Models. Also available for download is a paper model of a church building drawn in the same style. 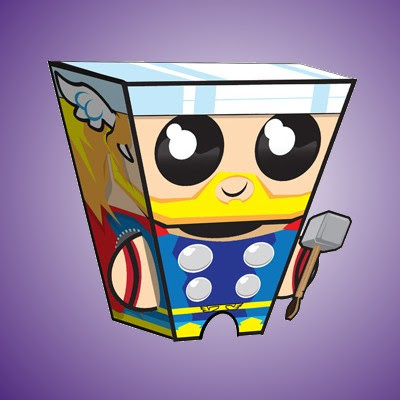 This cute glue-less paper toy of the Mighty Thor is immediately recognizable as the work illustrator Anthony Brennan. 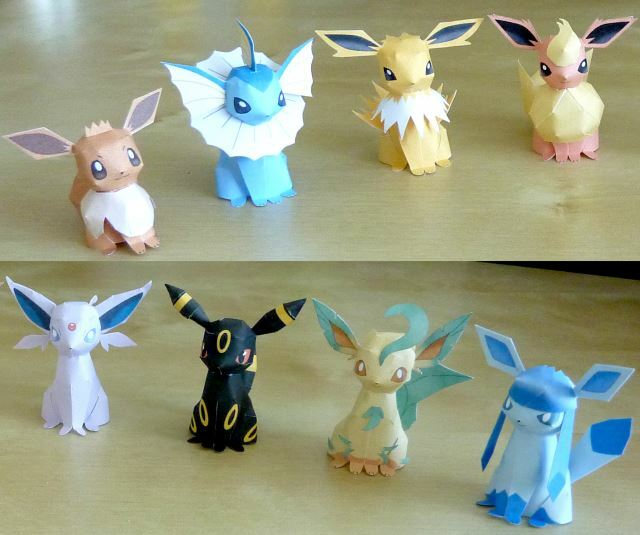 Anthony's specialty is creating paper toys of celebrities, but he does do the occasional superhero. 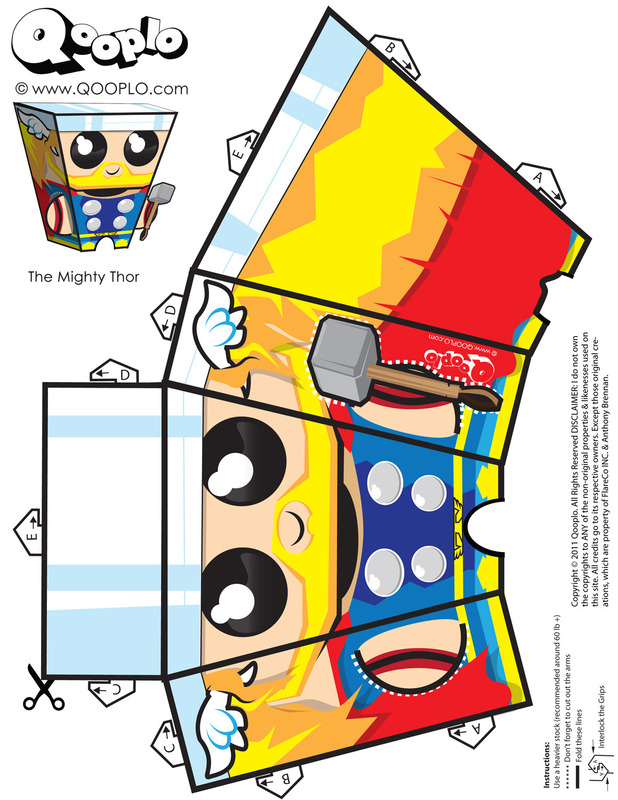 A printable template for this lovable homage to Marvel Comics' god of thunder may be downloaded here. Interested in a more realistic paper model of Thor? Take a look here. "a race of Norse-themed half-giant warriors native to the Howling Fjord, located in southeastern Northrend... Vrykul are brutal in nature, and are served by worgs and a similarly mysterious race of proto-dragons. They practice a runic magic that even the most experienced wizards find unfamiliar." Sound like tough opponents to beat! 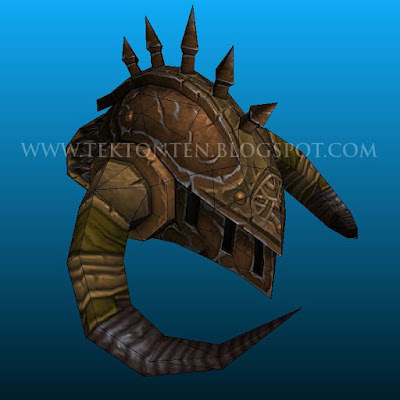 This papercraft Vrykul helm was created by Harlan Browning. 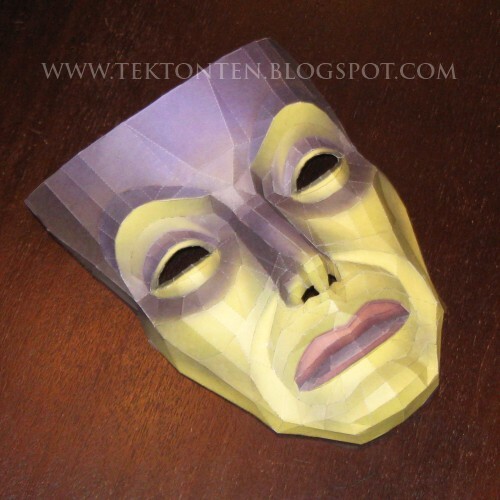 The Pepakura PDO template may be downloaded here. Elaine Wolfe, the designer of this papercraft Ferris wheel, built the wheel to give as a gift. There is lots to like about the project. First, the wheel actually spins! Second, the base is a box in which a present can be hidden. From experience, Elaine says the wheel takes about 4 hours to make: one hour of cutting and about three hours of gluing. 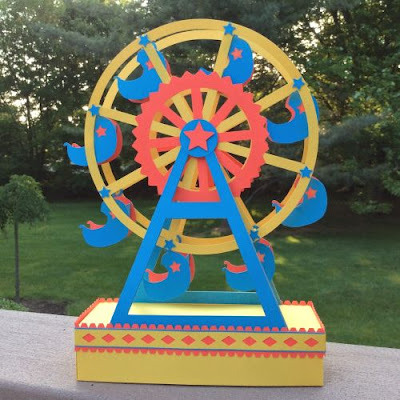 A PDF of the template for the Ferris wheel may be downloaded here.